that He is powerful, and He is loving. You may start to ask. God is powerful, and God is loving. In awe of that very truth? This past year of my life I have never been more aware of the fact that I have absolutely no idea what I’m doing. This brings me back to those two simple truths. I know that God is powerful, and that He is loving. I know the desires, and the thoughts, and the passions that no one else sees. I see the pride and the lust that never dies and I can feel the dark blood that pulses in my veins. We all know ourselves in this way. If everyone only knew what really goes on inside our heads, nobody would want to be anyone's friend... let alone hear what we all have to say. That He would carry us through our own confusion, deceitfulness, and sin and bring us to a place where we have an education, loving parents, health, friends, and if none of the previous... the promise of being just a prayer away. The promise of being all we'll ever need. The promise of being a father to the fatherless. The promise of being the great physician and comforter. The promise of being a friend who sticks closer than a brother. 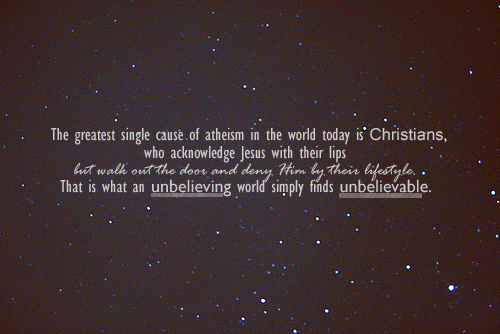 And that's why God calls us to live in the mystery. ...can begin to lose it's meaning... BUT when we truly think about it... they begin to help tremendously. God is not loving toward us, because we have deserved it. He is loving to us, because Christ deserved it for ALL of us. He isn’t good to any of us, because we’re really good at saying our prayers and really good at loving other people. He isn’t faithful to us, because we’re faithful to Him. He loves us, because that’s who He is. He is faithful to us, because He cannot deny Himself. And it’s that knowledge that begins to change us. in the way that He desires. And so truly we can find rest in God...Our salvation comes from him. He is our rock and our salvation; he is our fortress, we will never be shaken. Our hope comes from Him... because His promises remain: He loves YOU. He is Strong. He is loving. He does not fail. We can show Him by loving others, standing up for others and just being a friend to those who need one. And we can pray to know God's love and to live in it... wholeheartedly and intimately. That's what He wants for us. "My salvation and my honor depend on God;"
Back in Bible times... honor depended upon other people. A daughter brought honor to her father. A son brought honor to his father's name and his father's household. A woman brought honor to her husband and her husband's name. A man's honor was weighed against the people in his life. Today, we measure people's honor based off what they have done with their life, or how they live their life. A psychiatrist lives an honorable life because they treat mental illnesses and try to give people their lives back. A doctor lives an honorable life because they save lives every day. 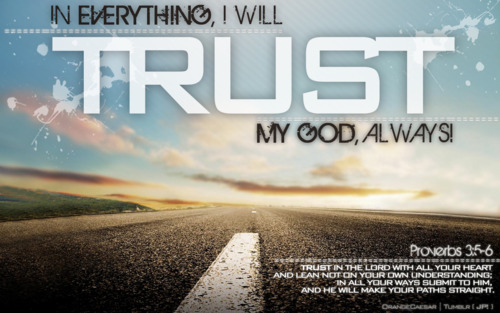 But this Psalm tells us that our honor depends upon God... and to trust in Him at all times. To pour out our hearts to Him... Why? Because God is our refuge. Danger from comparing ourselves to other people. Danger from having our self worth defined by other people. Distress of thinking we have to work for something to have any kind of honor. God is our refuge... our shelter from those thoughts and feelings. Because our honor comes from Him. Will we pour our hearts out to Him? Let's live in the mystery of what that means. Satan doesn’t fear our sin; he knows God can forgive it. He doesn’t fear our depression; he knows God can drive it away. He doesn’t fear our lack; he knows God can provide. He fears our discovery of God’s Word, because our ignorance of it is the most effective weapon he can use against us. We know these verses. We use them all the time. But what we leave out sometimes is when we say we love someone... do we mean it? I'm not just talking romantically... although I do believe we need to apply this to our romantic relationships. 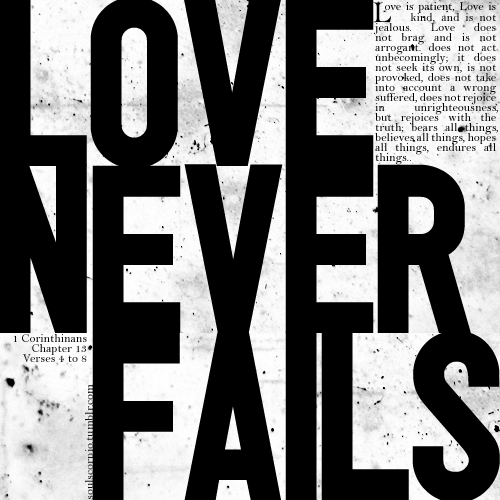 When we say we love someone... Are we willing to also say that we will never fail them as long as it is up to us? Are we willing to put everything aside to be there for them? 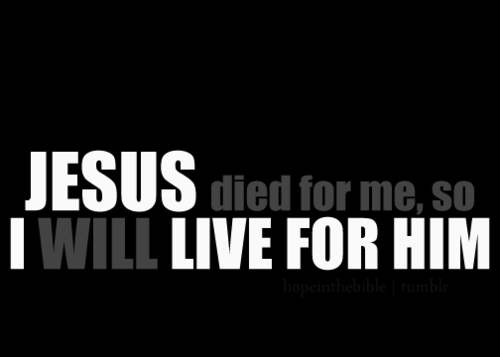 Are we willing to, as Jesus talked about... die for them? God's love dwells in us. It means we need to act toward others in love... even our enemies. Are you saying that you won't EVER fail them? And that you will ALWAYS love them? In fact... with divorce rates so high... maybe engaged couples also need to really think this through... feel this through... and understand this. Maybe some married couples need to re-commit to this. I will have a few future posts on God's Love and how we react and live out the love the Bible seems to talk about. A ship may be safe in the harbor, but that's not what it was built for. It was built to go out in the seas. We are those ships, and sometimes we park in the harbor instead of letting God be our captains, we tie up in the harbor instead of trusting that He will steer us in the right direction. It's time to start up the engines. It's time to invite The Captain on-board. Because the truth is: without Him, you'll either waste your life in the shallow, safe waters of life, or you'll sail by yourself and become reckless... shipwrecked. God is not only our captain, but our designer, our builder, and our repairer. There isn't one ship He will refuse to captain, and there isn't one ship He will refuse to repair if we would only ask Him to and trust Him to do it. We can be confident of this, that he who began a good work in you will carry it on to completion until the day of Christ Jesus. I have been meditating on this song by Kristian Stanfill all day. I have just a simple thought for today: Could we pray this... and mean it? Could we kneel down and say these words and mean them with all our heart, all our mind, all of our strength, and with all of our soul? Do we believe what this song says? Did you ever wonder what the universe must have been like before God spoke the first words of creation? I try to wrap my mind around a substance that isn't light, yet isn't darkness, yet it is. And there was the unformed earth just floating in the midst of it. Void of all life. A giant water blob floating in this... universe. No stars. No moon. No sun. No planets. No anything. And the first thing he does is create light. And he separates light from darkness. He says that the light is 'good'. But makes no mention of the darkness. He doesn't call it good. He doesn't call it bad. But He separates it from what He deems as good. It just brings a picture to my mind of Christ. In the midst of the incomprehensible emptiness. There was a light that shines in the darkness after God speaks the first words of creation. And in the midst of our incomprehensible darkness and blindness of sin. There was a light that shines in on us... the Word of God in the form of a man: Jesus Christ. I love that God describes himself as light. 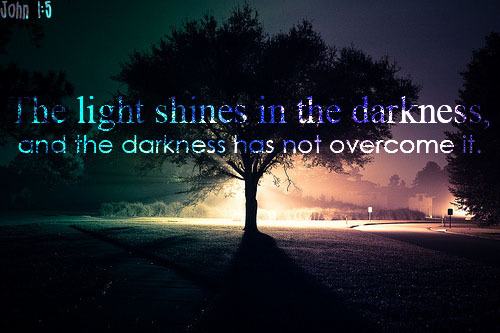 This week think about how God has shone in on humanity's darkness... Instead of wondering why the dark is so dark... wonder why we don't mirror, why we don't reflect God's light to all the ends of the Earth. Even more... it's incredibly humbling when we think about how God has shone in on our own personal lives... our personal darkness. For us it's as easy as lighting a candle or flipping a switch to light up a room so we can see physically. But God came down and had to die in order for us to see spiritually. This week think about God as light. The light of the world.